I was just checking my Google Analytics results for this blog and discovered that there are more people using Mozilla Firefox than Microsoft Internet Explorer to view my blog. Google Analytics is a wonderful — and free — tool. If you run a website I urge you to check it out; all you need is a Google account. It shows you how people find your site, how they navigate through it and where they leap out when they do. 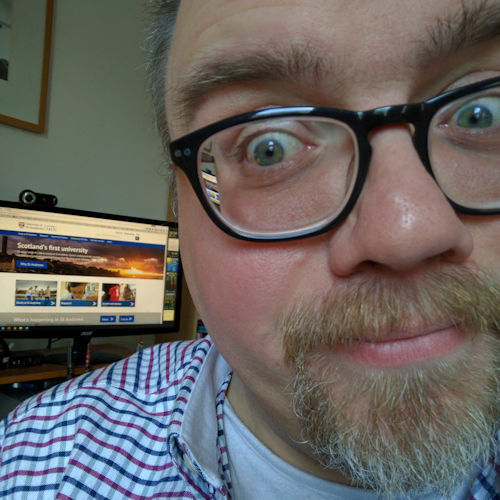 All very useful stuff when trying to improve your website. 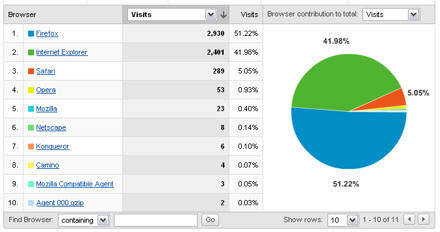 Anyway, thanks to the majority (51.22%) for using Firefox when viewing this site. And to the other 48.78% (apart from Mike using Konqueror and those Mac users with Safari or Camino) I urge you to give Firefox a go.